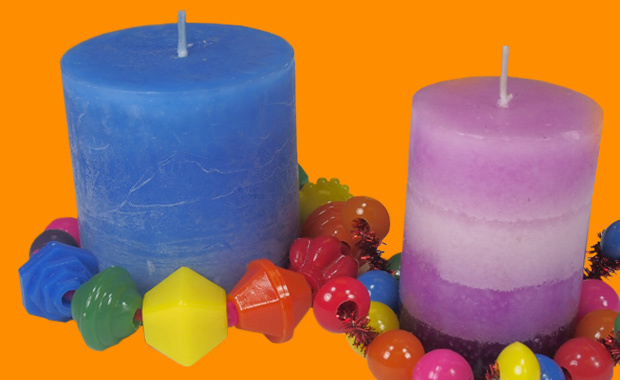 Glam up your plain old pillar candles! Exercise fine motor skills with beading and sorting activities while creating this super-easy but effective craft! This craft is great for teaching children how to sort and string beads. It gives them a chance to exercise their fine motor skills and learn how to work with sequencing. Introduce patterning and color order before you begin the craft. Let children sort out their selection of beads on a flat surface. Measure the circumference of the candle with the length of pipe cleaner. Leave some excess pipe cleaner on one end then cut the rest off. Tape down one end of the pipe cleaner to keep the beads from sliding off, and then insert each bead through the string. 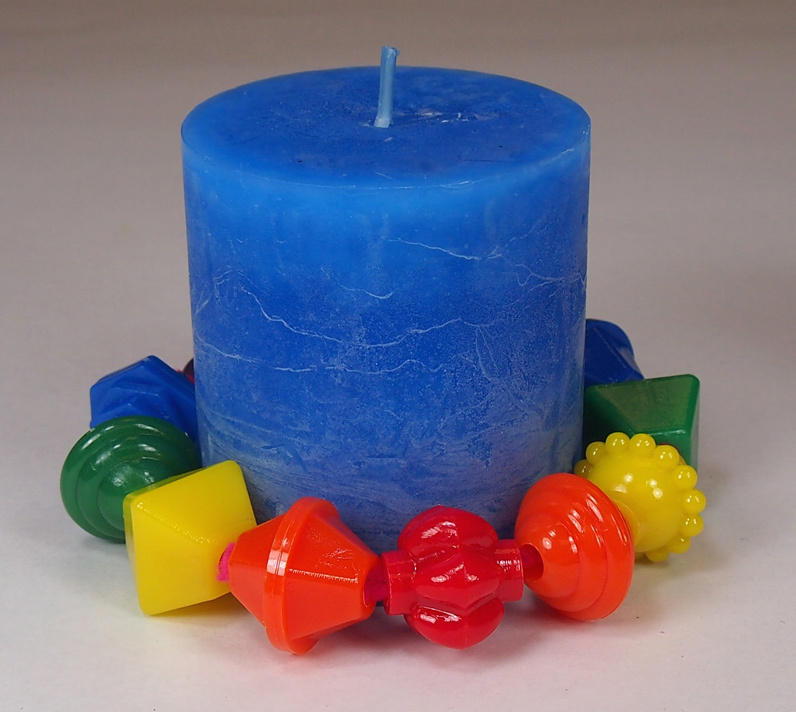 You can pick up both ends of the candle decoration and test it out by wrapping it around the base of the candle. It should be loose enough to fit over the candle but tight enough to hold the shape of the decoration. Insert more beads if you need them. Twist the ends into a knot to secure the decoration. Give as a gift to a special someone. You can use the decoration as a bracelet, too! 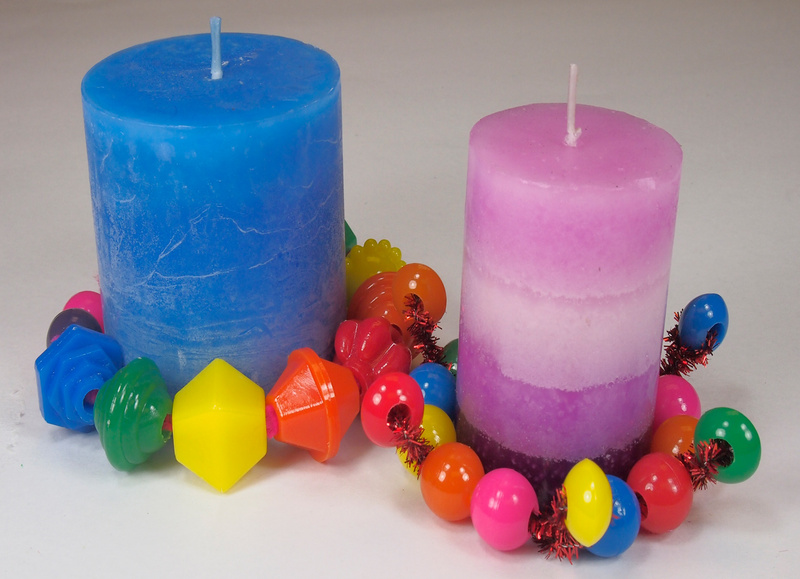 This entry was posted in Art, Crafts and tagged beads, candle, celebration, decoration, festive by roylcoblog. Bookmark the permalink.